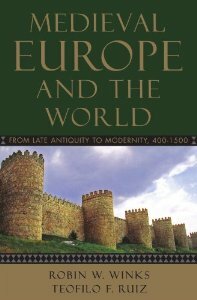 A magisterial tome and the classic text of European history, R. R. Palmer's A History of the Modern World provides an authoritative survey. 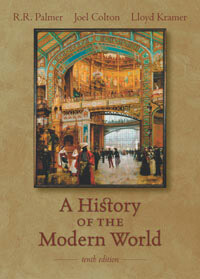 Readers particularly will notice Palmer's well developed authorial voice in narrating the history of the period. The author is quite traditional in his approach, adhering to the story of high politics and diplomacy as well as privileging a Whiggish interpretation. Still, for a clear presentation of the facts in a well organized volume, one can do no better than Palmer's history. John Merriman's A History of Modern Europe provides a balanced, engaging interpretation of European history from the Renaissance to the present day. More than many survey texts, Merriman's thoroughly engages social and cultural history in interesting ways. His coverage of the Industrial Revolution is the best of any major textbook. Donald Kagan's The Western Heritage is the most widely used high school European history textbook in the American market. Kagan takes a just-the-facts approach, which some readers find helpful and others find boring. The chapters on the twentieth century are not as strong or helpfully organized as the early chapters. For instance, he devotes a single chapter to the entire postwar period, while many textbooks treat European integration, the Cold War, the development of the welfare state, and decolonization separately. Peter F. Clarke, Hope and Glory: Britain, 1900-2000, 2nd ed. (London: Penguin, 2004). Julian Hoppit, A Land of Liberty? England, 1689-1727 (Oxford: Oxford University Press, 2002). Paul Langford, A Polite and Commercial People: England, 1727-1783 (Oxford: Oxford University Press, 1994). Boyd Hilton, A Mad, Bad, and Dangerous People? England, 1783-1846 (Oxford: Oxford University Press, 2008). K. Theodore Hoppen, The Mid-Victorian Generation: 1846-1886 (Oxford: Oxford University Press, 2000). G. R. Searle, A New England? Peace and War, 1886-1918 (Oxford: Oxford University Press, 2005). A. J. P. Taylor, English History, 1914-1945 (Oxford: Clarendon Press, 1936; reprint, New York: Oxford University Press, 1985). Brian Harrison, Finding a Role? The United Kingdom, 1951-1970 (Oxford: Oxford University Press, 2009). Brian Harrison, Finding a Role? The United Kingdom, 1970-1990 (Oxford: Oxford University Press, 2010). André Jardin, Restoration and Reaction, 1815-1848, trans. Elborg Forster (New York: Cambridge University Press, 1983). Maurice Agulhon, The Republican Experiment, 1848-1852, trans. Janet Lloyd (New York: Cambridge University Press, 1983). Alain Plessis, The Rise and Fall of the Second Empire, 1852-1871, trans. Jonathan Mandelbaum (New York: Cambridge University Press, 1985). Jean-Marie Mayeur and Madeleine Rebérioux, The Third Republic from its Origins to the Great War, 1871-1914, trans. J. R. Foster (New York: Cambridge University Press, 1984). Philippe Bernard, The Decline of the Third Republic, 1914-1938, trans. Anthony Forster (New York: Cambridge University Press, 1988). Jean-Pierre Azéma, From Munich to Liberation, 1938-1944, trans. Janet Lloyd (New York: Cambridge University Press, 1984). Jean-Pierre Rioux, The Fourth Republic, 1944-1958, trans. Godfrey Rogers (New York: Cambridge University Press, 1987). Serge Berstein, The Republic of De Gaulle, 1958-1969, trans. Peter Morris (New York: Cambridge University Press, 1993). Serge Berstein and Jean-Pierre Rioux, The Pompidou Years, 1969-1974, trans. 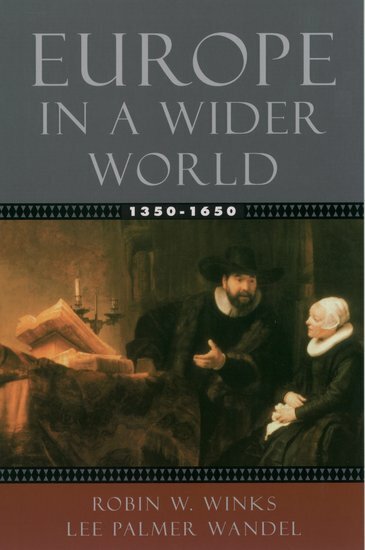 Christopher Woodall (New York: Cambridge University Press, 2000. Mary Fulbrook, A History of Germany, 1918-2008: The Divided Nation (Malden, Mass. : Wiley-Blackwell, 2009). Jonathan Sperber, Germany, 1800-1871 (Oxford: Oxford University Press, 2004). James Retallack, Imperial Germany, 1871-1918 (Oxford: Oxford University Press, 2008). Anthony McElligott, Weimar Germany (Oxford: Oxford University Press, 2009). Jane Caplan, Nazi Germany (Oxford: Oxford University Press, 2008). 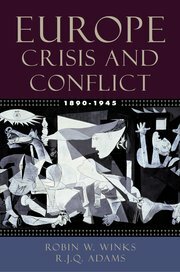 Klaus Larres, Germany Since World War II: From Occupation to Unification and Beyond [forthcoming]. James J. Sheehan, Germany History, 1770-1866 (Oxford: Oxford University Press, 1989). Gordon A. Craig, Germany, 1866-1945 (New York: Oxford University Press, 1999). Robert A. Kann, The Multinational Empire: Nationalism and National Reform in the Habsburg Monarchy, 1848-1918 (New York: Columbia University Press, 1950; reprint, New York: Octagon, 1964). C. A. Macartney, The House of Austria: The Later Phase, 1790-1918 (Edinburgh: University Press, 1978). Denis Mack Smith, Modern Italy: A Political History (Ann Arbor: University of Michigan Press, 1997). Raymond Carr, Spain, 1808-1975, 2nd ed. (New York: Oxford University Press, 1982). Nicholas Riasanovsky, A History of Russia, 7th ed. (New York: Oxford University Press, 2005). Geoffrey Hosking, The First Socialist Society: A History of the Soviet Union from Within, 2nd ed. (Cambridge: Harvard University Press, 1992).